Selling a car is not a problem, getting the right price for it is the issue. Care salespeople know that a car’s value is only as good as it looks. An old well-polished, well-maintained car is more likely to fetch a profit on its value compared to a new, dirty, rundown vehicle. 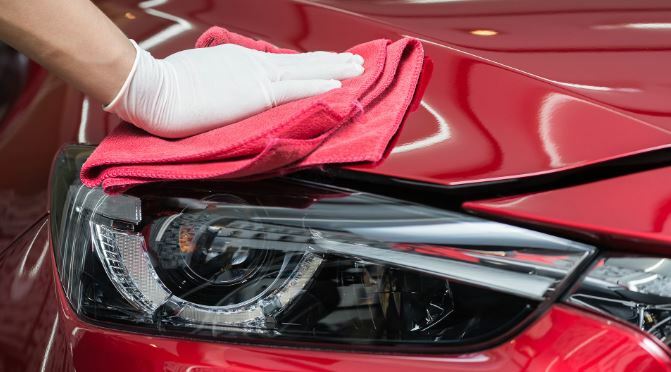 Before you put your car on the market, it’s important to get a thorough detailing. Just like any other commodity, the right packaging will get potential buyers lining up to purchase your vehicle. Pre-sale detailing involves exhaustive detailing services that restore your car to its attractive state. The process involves a lot of cleaning, vacuuming, shampooing, polishing, conditioning and treatment. A good-looking car is undeniably easier to resell. Therefore, keeping your car looking as sharp as possible is not about vanity. The paint job on the vehicle slowly loses its shine as time goes. UV radiation from the sun is the leading culprit when it comes to paint job damage. Dirt also contributes to its own fair share of damage with other environmental pollutants joining in the havoc. When it’s time to resell, restoring the paint on your car raises its value. Exterior car polishing goes a long way to restore the shine on your paint. Polishing can either be done by hand or by machine but when done well, the result is the same. Polishing restores the shine on your paint and gives your car an attractive look. Professional car detailers often deliver stunning results. To complement the shine on your paint, your wheels have to be clean and polished. A set of good-looking wheels steals attention. The first step in cleaning the wheels involves rinsing them to remove loose dirt and brake dust. A soft bristle wheel brush is used to clean the wheels while a wheel polish restores the shine. Using the correct wheel cleaners ensures a good-looking result. While still at the wheels, it’s important to clean out the wheel wells. The tyres and mudflaps should also be treated to achieve a beautiful finish. Before moving to the windows and the interior, exterior plastics and rubbers should be glossed to complement the already shiny exterior look. If you think about it, most people ‘live’ in their cars. We spend hours sitting in the car and as a result, car interiors are some of the dirtiest places. From dust, food, and hair to gum, sweat, oil, dirt and spillage, car interiors take a lot of abuse. For this reason, interior car detailing is crucial before presenting a car for sale. It involves cleaning all the components of a car’s interior. Vinyl and plastic are primarily what makes up door panels. Some sections may feature cloth or leather, but they cover a small area. The vinyl/plastic used on door panels is usually painted and covered with a clear coat. Therefore, the cleaning products used on the panels should not be harsh. A microfiber towel comes in handy while cleaning the door panels and dash. Professional detailers will definitely leave your dash and door panels shinning for any potential client to see. Most detailers have no idea how to handle car seats. Leather seats, in particular, have stirred debates among different professional car detailers. Protected leather is currently the leather of choice for automotive application. This leather requires less maintenance as compared to leather from yesteryears. However, protected leather still requires cleaning and mild conditioning. Cloth seats are hand cleaned and vacuumed. Pre-treatment products can be used for stubborn stain removal. Clean well-maintained seats are always a selling point for any car. Detailing would not be complete without cleaning the windows. A set of spotless windows only make a car more attractive. Professional detailers clean out any window stains and any dirt on the side mirrors. The cleaning process may extend to the surface of the engine. Finally, the interior is deodorised to give it the odour of a new car. The final result is a well-cleaned, shiny vehicle that looks as good as new. Proper pre-sale detailing may be the difference between reselling your car and not selling it. Therefore, get the right work done on your car before putting it on sale.